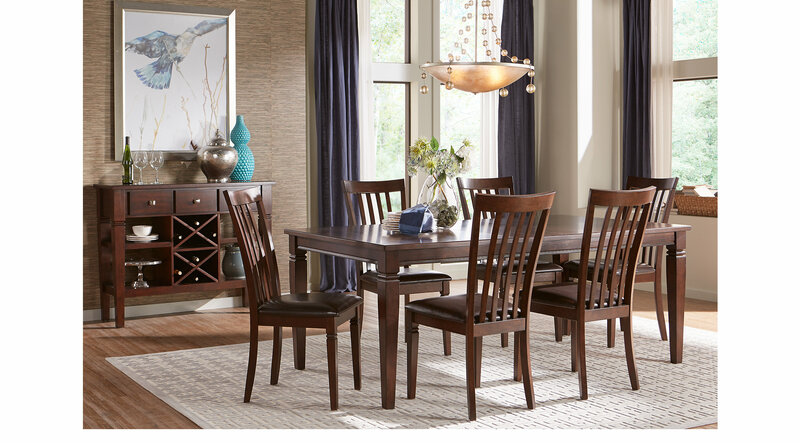 Classic 5-Piece Riverdale Dining Set is crafted from wood solids and cherry veneers. The rectangular table is 42”x60” and extends to 78". The collection features four slat back, leather-like upholstered dining chairs.